I always find Christmas a weird contradiction of chaos and isolation. The streets are rammed with stampedes of stressed and over tired shoppers then a week later they lay beautifully apocalyptic. Before the holidays it I’ve been trying to squeeze in another test for a new project as well as sort through all of my negs. A return to Romania as ever, persistently tempts my thoughts. I’m craving an opportunity to roam a little and clear my head. This was from a trip to a more urban area where Lucky had worked. 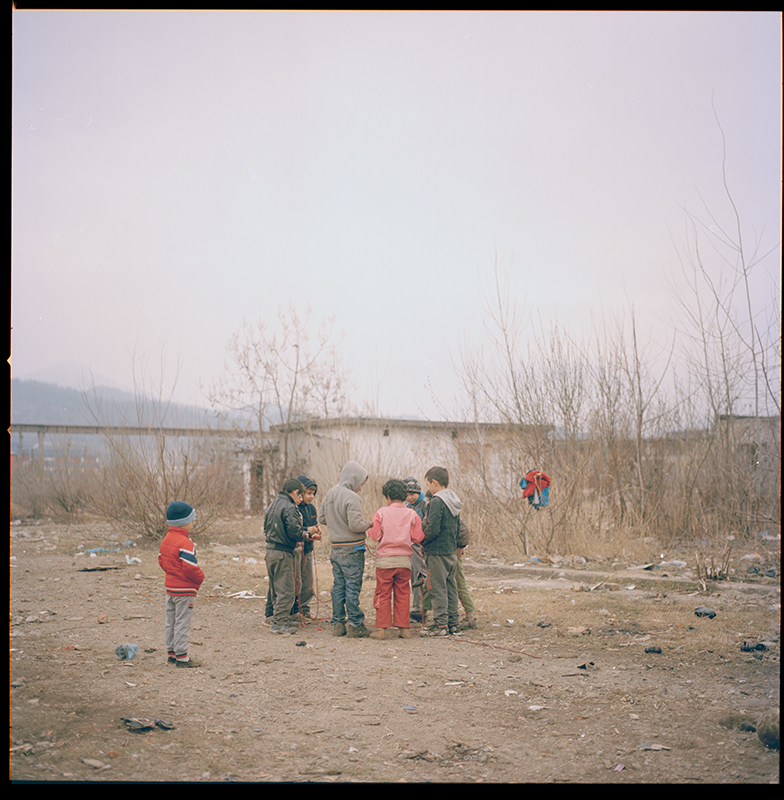 The estates were the wildest I've ever seen in Romania and poverty was brutally rife. As we walked towards this group I recall seeing a women my mothers age clamper out from a skip as we passed by. We had arranged a meeting with the local charity and pre-stocked the car with as much sugar and toys as we could fit. The kids were, as expected, playfully innocent and totally up for a game. Lucky was brilliant at helping ensure we all had fun, there was a light-hearted mood and that they understood what we were shooting. Estates are always a temptation for me. A hive of community with it's own silent flared boundaries, undeniable comradery and daily chaos. A hidden and exclusive world always tempts my feet to enter. Coming from a narcissistic and anonymous city I saw great value in the fact that these children had a large extended family. They would know these peers for life. The isolated and intense estate was savage but it had its benefits- it was a skewed but strong community.